Want to enjoy the beautiful Moon year-round? Check out our 2019 Moon Wall Calendar! Of all the things happening in the universe this year, the November 14, 2016, Supermoon will probably get the most media attention. This truly ultra-close lunar approach is the real deal. Supermoon was never a term uttered by astrophysicists. But the public loves this concept, and, after all, it’s a rare celestial event that physically affects us. If you live anywhere where tides go up and down, you’ll see them do that next Sunday, Monday, and Tuesday. It’s a tangible connection between our world and the cosmos. The Moon hasn’t been this close to us since January 26, 1948. The media will nonetheless exaggerate. They’ll probably tell everyone to look up and see an enormous Moon. Actually, this largest Moon is still only 8% bigger than average. If you can handle the truth, well, that’s not a noticeable size difference. As our readers know, the most dramatic effect happens when the Full Moon rises, at dusk. Seen just over the skyline a few minutes after sunset, when earthly objects are near it, the Moon looks much bigger. This well-known Moon illusion boosts its perceived size far more than this close approach. Still, at 6 AM ET the Moon will be only 221,524 miles away. Truly impressive. The previous most-noteworthy lunar perigee happened on March 19, 2011 when it was just 41 miles (66 km) farther. Before that we had the super perigee of March 8, 1993 which was bested by this month’s approach by a mere 12 miles (19 km). All four of these super-close encounters happened within a few hours of the Full Moon. This is no coincidence. The only way the Moon can approach so closely is by ramping up the overall gravitational influence by aligning with the Sun, which happens exclusively at a new or full phase. Those writers who want to make it seem as if the full moon/close moon confluence is an amazing coincidence ignore the fact that such nearby lunar visits simply never happen during the half, crescent or gibbous times of the month. They just don’t. Notice, too, that all those previous super duper moons happened within a few months of Earth’s perihelion, its closest approach to the Sun, which happens each year in early January. That’s no coincidence either. Having the sun nearer to us and therefore more gravitationally influential helps the moon’s orbit change shape and come bit closer. The Moon’s distance is usually expressed from Earth’s center to the moon’s midpoint, because we use the centers of celestial bodies to calculate motion. But it makes more sense to talk about the separation we’re actually observing, and note that on November 14 the Moon’s surface hovers just 216,481 miles from our eyeballs. A 100x telescopic magnification will then make craters appear exactly one moon-width away. That’s real close. It won’t be this near again until November 25, 2034. It’s a two-night affair for North American observers. Perigee occurs during the early morning of the 14th, with full moon three hours later. So the Moon will actually be largest during Sunday night, the 13th. Count on this being overlooked in the news stories. But hey, no need to be OCD and try to factor in minutes and seconds. Sunday night, November 13-14, all night long, the biggest Moon since Harry Truman was in the White House is right there out the window. Live Supermoon Show Sunday, November 13! 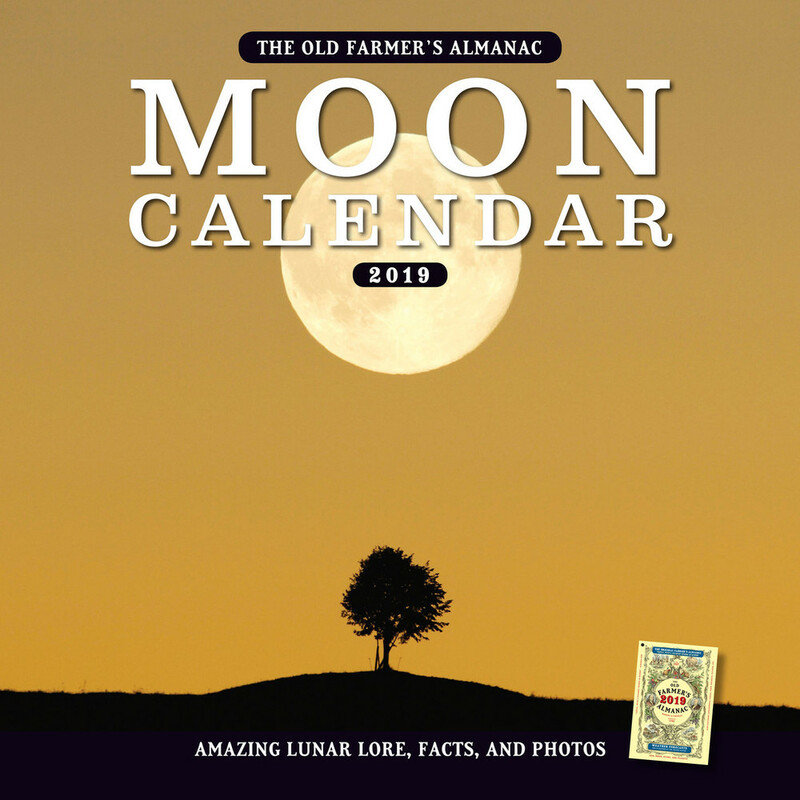 In partnership with Slooh, The Old Farmer’s Almanac will broadcast a free observatory show with live shots of this most spectacular Supermoon on SUNDAY, November 13, 2016 at 7:00 PM EDT. Click here for live show page! Whatever your local weather conditions, you’ll be able to see the night sky through Slooh’s powerful telescopes! Almanac astronomer Bob Berman, will help us understand why the Moon hasn’t appeared this large in such a long time. Editor Janice Stillman will also discuss the folklore associated with the November Moon. Join us Sunday evening for Supermoon facts, fun, and live shots! A Supermoon? Or, an Imposter? I suspect these authors are using the word "coincidence" more in its denotative sense as in, co-incidence, things that occur at the same time. I love the article on the Super Moon. I have a 12" telescope and I sure hope the sky is going to be clear.